What a great initiative. 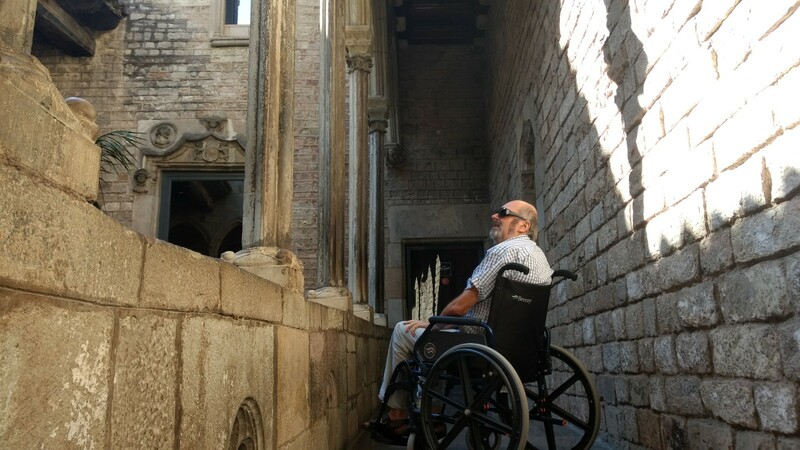 The EU shows her power for her disabled inhabitants by launching the EU disability card, making it more affordable to travel to Europe in a wheelchair. After testing a pilot version of it, the first countries are now rolling out the usage of the card. We can't wait until more wheelchair friendly countries like Spain and France will be participating too. Only more and more people will be able to travel to Europe in a wheelchair . Partners of the card such as museums, and attraction parks can freely choose the nature of the benefits for which the European Disability Card can be used. These may include benefits already offered or new benefits for people with disabilities, such as discounts, audioguides, reserved spaces, passes to avoid queuing, etc. It will help pushing museums to offer an advantage to their disabled clients. To know exactly what the advantages are, it is therefore advisable to ask the museum or partner directly. The EU Disability Card will ensure an equal access to certain specific benefits, mainly in the areas of culture, leisure, sport and transport. The Card will be mutually recognised between EU countries participating in the system, on a voluntary basis. Currently, there is no mutual recognition of disability status between EU Member States: this makes things difficult for persons with disabilities travelling to other EU countries. For instance their national disability cards might not be recognised. The Card does not change national eligibility criteria or rules. Member States retain their discretion to decide who is eligible to receive the Card, using the national definition of disability, and to determine the issuing procedure.